Home / Blog / Celebrating a Landmark Birthday in 2020? 2020 will be a milestone year. If you’re planning a landmark birthday party next year you’ll be in good company. Here at Mirage we know how to plan a party and deliver an unforgettable experience for you and your guests. Many well loved celebrities will also be turning either 40, 50 or 60 in 2020! So if you want to party like a celebrity and have the celebration you deserve, explore some of our fabulous ideas of how you can be partying with decadence and style. To secure ALL the top elements for your party (entertainment, venue, catering to name a few!) planning now is the perfect time, especially if your birthday falls at the start of the year. It may seem like a while away but we are already getting booked up with May – September being our busiest period. So with our help, get planning now to ensure you have the birthday celebration you deserve! Our expertise lies in creating truly bespoke parties and we love to think outside the box. Design and transformation is what we’re best at and with expert caterers our party planners will create an event that is celebrity worthy and beyond. Turning 40 in 2020? As the years have aligned for you surely it’s a sign to have a huge party. You’ll be joining the ranks of reality star and lover of luxury; Kim Kardashian. 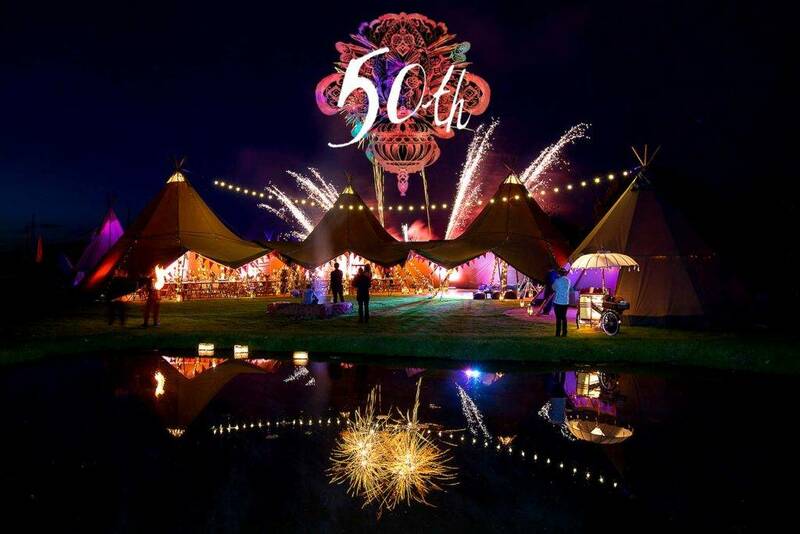 We deliver the highest level of expertise and quality when planning our luxury events and have experience in creating the most flamboyant and extravagant parties for those who want to have an elaborate event to celebrate! We can help provide a glamorous dining experience for your guest to a theatrical themed party that is truly immersive. 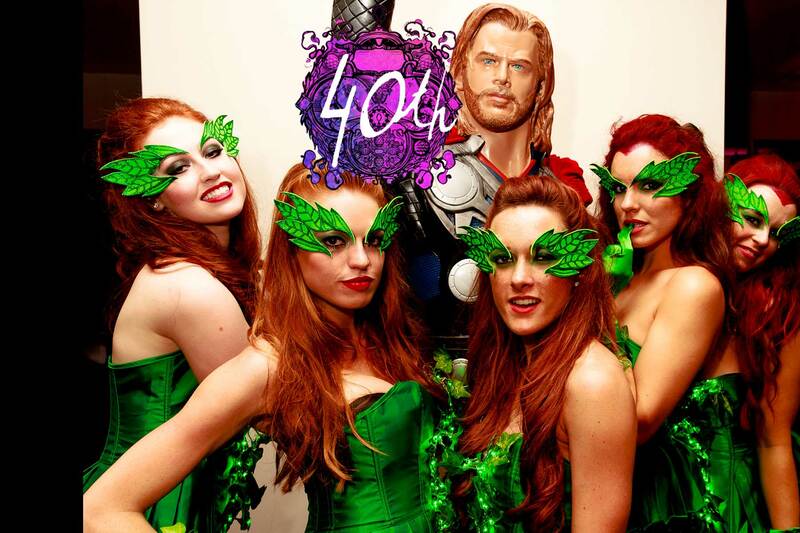 If, like Kim, you would like to celebrate with a high calibre event to match and entertain your guests in style take a look at our Heroes & Villains party we designed and created for an epic private party at a London photographic studio. Former Liverpool and England Captain Steven Gerrard will be turning 40 and we’re pretty sure he’ll be partying alongside other football heroes and their wives. For a fabulous fun event, you too could look to host a Toffs, Chavs and Wags party. A super fun idea, creating different zones and styled areas in a marquee to suit all your guests! Don’t fret, celebrate on hitting such a great age and party however you wish, you’ve earnt it! Celebrate like a diva as you’ll be joining singing queen Mariah Carey. Here at Mirage we have planned luxury 50th birthday parties that even Mariah would be proud of. Let us help you create something that is pure luxury, indulgent and spectacular. Beautiful, elegant and stunning, Naomi Campbell will be 50 in 2020. For a party to reflect the host, choose an exquisite and beautiful venue where you can host your landmark party. Our dedicated team can provide the perfect setting to help create the best atmosphere for you and your guests. For a party to remember you could choose to give your guests a spectacular party for your 50th, we have created some fabulous themes catering to all tastes. Host a party to end all parties and have a nightclub constructed in your back garden. At this event we had a hidden pop up nightclub tent to surprise all the guests. 60 is the new 40 so there’s no reason to hold back. There are some serious British icons who will be joining you. 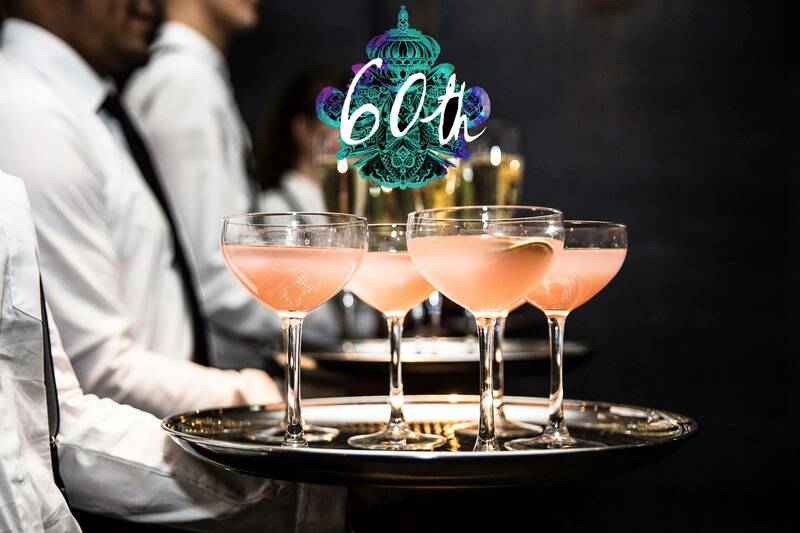 Think pure luxury, indulgence and create something unforgettable for your 60th celebration. Prince Andrew & Colin Firth will be hitting this landmark in 2020 and if you want to create a royal atmosphere for your guests surely having a party in an amazing venue such as the Gherkin will deliver an unforgettable event. For a previous event we transformed the space with beautiful styling, exquisite floristry and fine dining, take a look for some inspiration. Mirage Parties have a host of experience in creating events for celebrities and have produced parties with key figures in the film, sporting and entertainment industry. From Ron Howard & Chris Hemsworth who were part of the prestigious Autosport Awards to world class magician Dynamo who entertained guests at a Nightmare Before Christmas themed party. We have a vast array of experiences working with celebrities and totally understand the requirements and demands with hosting a celebrity event! Planning a Landmark Birthday Party in 2020?